Right, so you might be thinking of working in a plush resort in Lonavala. You have applied for a number of hotel management courses in Pune. But then tragedy strikes. With a number of copies of prospectus from different institutes strewn around you, it is hard to pick the right course. Relax; sit back as we describe for you some of the criteria for choosing a hotel and hospitality management course! To put it simply, on a platter, while choosing a course, the most important considerations are the cost, the degree/certification, the syllabus, the credibility of faculty, placement assistance and your convenience. 1. Cost and Course Offering are perhaps the most important aspects while picking one course over another, whether you want to work in resort in Lonavala or in Austrian countryside. Obviously if the course is beyond your budget, you would not go for it. Likewise, if the course does not offer the subjects you are looking for, it will be a useless exercise to pursue the course. 2. Faculty members are another crucial factor while learning hospitality management services. Make sure that the faculty is experienced. Moreover, if the faculty is from diverse backgrounds, it is even better, as that exposure is passed onto the students. 3. Placement Assistance is generally offered by reputed institutes. But it is better to make sure if the institute has that. If not that, would the department at least help in networking? Make sure. This is important because be it resort in Lonavala, or Alibaug or any other, you would hit a dead end owing to lack of contacts and networking. 4. Timings of the course even though a minor aspect, do matter. Pick the course which offers you convenient batch timings. You wouldn't want to miss out on classes between 10am and 1 pm, if you are working full time, right? 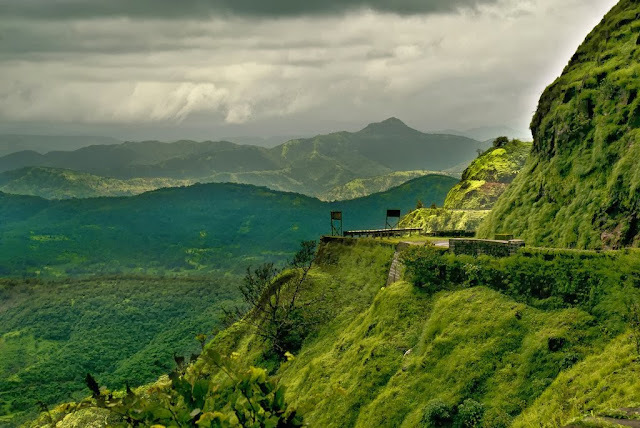 Keeping these things in mind and going for the right course will take you places far away and better than resort in Lonavala! All the best! Okay, so you are moving into one of those ritzy ongoing residential projects in Pune. There is a (literally) a truck load of items which need to be moved. Oh gosh! Suddenly, you remember – Movers and Packers! You have to book one. Realization dawns upon you that you have never booked one. Well, let us, at Phadnis Group help you with a few things to consider while doing that and make the whole process smooth. Talk to your friends and acquaintances who have been there, done that. They would certainly have some recommendations for you. Researching on the internet in tandem will be helpful. That done, shortlist a few names and ask for an estimate. What is covered in the insurance if you pack yourself? Are the movers who will do the job employees, or contractors or day labourers? 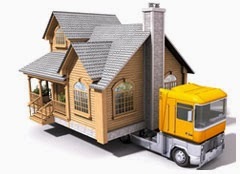 Identifying the items which need to be moved beforehand, while moving to any of the Pune real estate properties or otherwise avoids 11th hour hassle. When the representatives of the movers and packers come down, state clearly what would be handled by them and communicate the exact address of the new home and give them an idea of any obstacles such as stairs or narrow hallways, etc. This is especially in connection with moving to ongoing residential projects in Pune. In case you have any valuable items or fragile items, take a shot at asking the mover and packer if they offer optional insurance and if it is at a reasonable cost. Some companies may limit their liability if you do the packing. Ultimately, on the d-day, preferably supervise the packing and moving, sans freaking the movers out! After it is all over, a good idea would be to scan through your possessions and check for any damaged or missing items. If there is a minor damage, the company should ideally reimburse you. Hopefully these tips will give your moving saga a happy ending, be it moving to one of the new flat in Pune or a resale apartment! Staying in hotels at Alibaug is throwing all the worries in the bin when you wish to spend vacations or enjoy at the beautiful beach, far away from the maddening crowd. The coastal town is developed enough and finding hotel is not a big hassle here. You can spot suitable accommodation, be it a holiday home, beach cottage, inn or any hotel. However, it is Radisson Blu resort spa in Alibaug that adds to your delight and makes your time worth-staying. It is relaxing experience when you stay here to treat yourself. Here every visitor is made to feel special. Hotels in Alibaug have mushroomed all over the town. But only a few provide the guests the superior accommodation facilities. The fully furnished spacious super deluxe rooms backed up with all the modern amenities give you a satisfying experience. When it comes to Radisson Blu resort & spa Alibaug, you can sit back, relax and get ready to be pampered in the cozy and well designed rooms with great room service. The dining experience will be incomplete unless you enjoy the stay in hotels at Alibaug. Hence, true to that, restaurant in Radisson Blu, Alibaug offers seafood, continental cuisine, Chinese, and other Indian as well as international cuisines. The different deliciousness of the sea food will tempt you to the tee if you are sea food enthusiast. From professional point of view, you can also arrange business meetings here as it has state of the art conference rooms. This is also a perfect place for throwing parties and arranging dinner get togethers with your family. Radisson Blu Resort Spa, Alibaug basically gives you a chance to relax, unwind and get a break. The calming environment of the spa invigorates you and restores your balance. Besides this, massage, facial and others stimulate your inner and outer beauty. In other words, spending your leisure time by staying in hotels at Alibaug like Radisson Blu, is indeed a beautiful experience. Hospitality Management services have increased in demand and have become an extremely lucrative business proposition. Lot of people are travelling all over the world and within their own countries, along with eating out regularly. Phadnis Group since the time of its inception in the year 2003 has tapped this opportunity having tremendous potential. Hospitality sector involves not just hotels and resorts but also tourism, food/catering and other aspects. The company has lavish resorts on its list of accomplished projects and has redefined the standards of luxury in hospitality services in Pune. From 3-star hotels/resorts in Lonavala to hotel management and consultancy, the brand has carved a distinct identity or itself. RIMC Sahil Hospitality India Pvt. Ltd. is its independent hotel operating venture. It takes over new and existing hotels, resort properties and service apartments for management and operations under various franchise brands in the Indian subcontinent, including India. This is a collaboration between Phadnis Group & RIMC international which is a very well established international brand in hotel management and consulting. What makes RIMC Sahil Hospitality India Pvt. Ltd stand out from the rest of the pack is its long standing experience in hotel operations, development of new hotel projects and strategic management of hotels. This organization therefore creates a win-win situation for investors as well as owners of hospitality ventures. Likewise, Sahil Sarovar Portico, Lonavala and Radisson Blu Alibaug are models of premium hospitality properties, providing an array of top notch amenities. 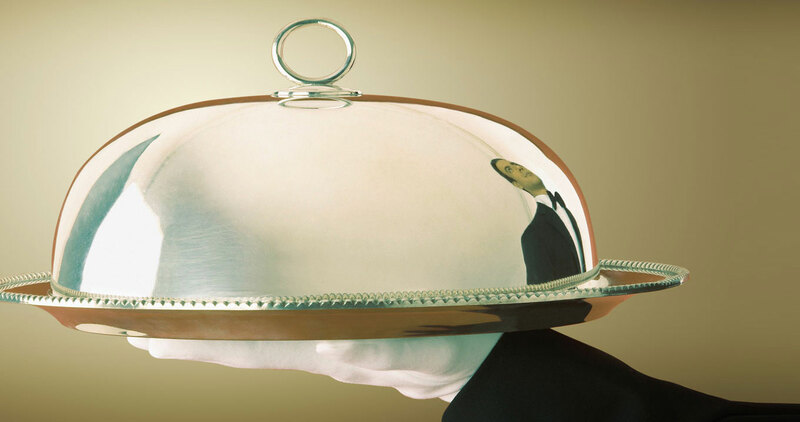 Nowhere else would you find such impeccable hospitality service. An exclusive spa with customized treatment in the midst of Sahyadri mountain ranges creating a breathtaking backdrop is the unique aspect of 3-star resort luxury resort in Lonavala, Sahil Sarovar Portico. While rooms with an out of the box design with 16 spa villas is the scoring point for Radisson Blu Resort and Spa in the beautiful locales of Alibaug. Despite their distinctions both these have one thing in common- immaculate hospitality experience. The same applies to the company’s services related to hospitality management in Pune. It is no rocket science that with such quality ventures, Phadnis Group is on the high road to becoming a top hospitality brand, offering impeccable hospitality management services. Consider this. If a list of infrastructure companies in Pune is made, a few very among them would be known as trustworthy and known for quality. Phadnis Infrastructure Ltd would be one of those illustrious names to adorn this list. 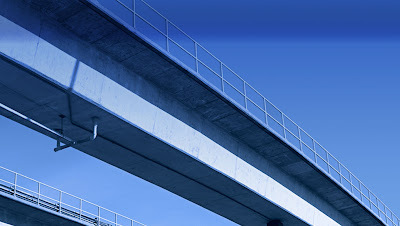 The company is involved in creation of world class urban infrastructure in the city and India. Phadnis Infrastructure Ltd is the vertical under which the company carries out its infrastructure ventures, whether it is building roads, airports and ancillaries or water supply projects and real estate. Now you might think that we are blowing the company’s trumpet! But picture this. In just a decade of establishment, since 2003 Phadnis Infrastructure, Pune has become one of the most renowned names in the industry. The Group has ISO 9001, ISO 14000 and OHSAS 18001 certificates for brilliant work in infrastructure development. After Mumbai or Delhi, tourists in India invariably visit Pune. No wonder the hospitality management services in the Oxford of the East have grown colossally in demand. 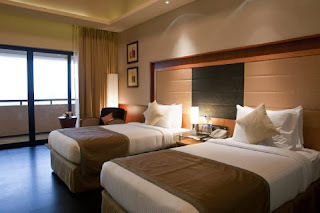 Consequently the past few years have seen a rise in number of 3 and 5 star hotels in Pune and around it. Phadnis Group has been one of the top names providing excellent hospitality services in the city and around it. The group began its journey in 2003 under the leadership of Vinay Phadnis and it has not looked back since then. Hospitality industry although ridden with fair amount of risks also provides immense opportunities for growth. This was the motivation behind Phadnis Group’s hospitality vertical and it edged forward, eventually scaling great heights. 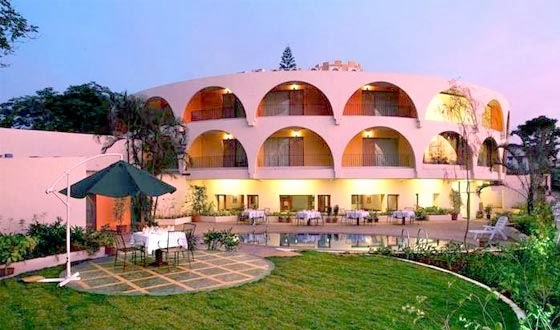 It is credited with 3 landmark hospitality ventures in Maharashtra. Radisson Blu Resort & Spa Alibaug is one of the most popular resorts by Phadnis Group in Alibaug, setting high standards of hospitality management in Pune. Set amidst 16 acres of beautiful landscaping, Radisson Blu Resort and Spa sports 156 premium and luxurious rooms and suites. The most attractive aspect here is the Mandara Spa, spread across approx 20,000 sq. ft. It offers various massages, body polishes and wraps, baths, facials, etc in tranquil settings. 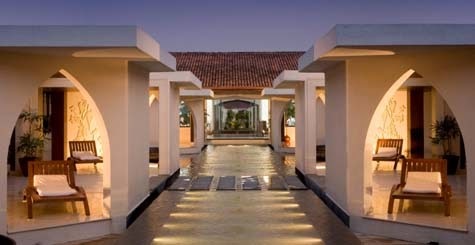 The Spa also includes 16 exquisite Spa Villas and a restaurant serving delectable Konkani dishes. It offers the finest hospitality services in the area. The same applies to Sahil Sarovar Portico, which is one of the best 3 star resort hotels in Lonavala, on the backdrop of scintillating Sahyadri mountain Ranges. This resort hotel promises immaculate hospitality services, thanks to an exclusive spa with customized treatments, 23 elegant and well-appointed rooms, 2 well-equipped conference halls, a multi-cuisine restaurant and a swimming pool. It is a perfect place for holiday goers or those who wish to combine business with pleasure. Most significantly, the core of its hospitality management services lies in RIMC Sahil Hospitality India Pvt. Ltd, a joint venture between Phadnis Group and RIMC International, a global hospitality management and consulting giant based in Germany. This is a independent hotel management operating company which partners with new or existing hotels, resorts and service apartments for management and operations in the Indian subcontinent under various franchise brands. With such signature hospitality ventures, offering flawless hospitality management services, Phadnis Group’s hospitality vertical has achieved a spotless reputation for itself! Pune real estate properties are riding high off late. There is nothing better than real estate to invest in these days. It seems to have got the Midas touch, turning everything coming into its contact golden (read lucrative)! Turning everything into gold for home buyers by fulfilling their dreams of owning a home is Phadnis Properties Ltd, the housing development vertical of Phadnis Group. The illustrious saga of Phadnis Group commenced in 2003, more than a decade back. Strong resolve and determination to do hard work and sky high ambitions was all the capital Phadnis Group possessed. In the decade to come though, Phadnis Group experienced almost fairy tale-like growth. Today, in circa 2013, Phadnis Group has metamorphosed itself into one of the most trusted and renowned real estate developers in Pune. Residential projects by Phadnis Properties Ltd have given a total makeover to the way Pune's skyline appears. Seeing the kind of work this developer has done, it is not hard to imagine that a number of awards have been won by its innovative and luxurious residential projects, most prominently, Eastern Ranges in Keshav Nagar, Mundhwa. Convenient locations, close to premiere educational institutes, upscale malls, theatres, restaurants etc. Creation of landmark residential projects in Pune has been possible for Phadnis Group because it has been spot on with recognizing the pulse of home buyers, their desires and aspirations. Hence the team at Phadnis Group makes sure that it delivers value services at optimum prices. Phadnis Properties Ltd has won the hearts of its esteemed customers by providing excellent customer service and quality residences. The persistent efforts and quality work have brought the company at a very exciting juncture, where it sees itself contributing increasingly to urban infrastructure in India with exclusive Pune real estate properties. A few years back, a prospective homebuyer was not hit by a hurricane of choices of ongoing residential projects in Pune. Today, however, choices are countless. This ofcourse is no rocket science when you look at the rate with which Pune is growing and number of people migrating to the city. It is a tussle between the best of names in the real estate industry to get a piece of this delicious cake. Amongst these names, Phadnis Group is one which leads the pack. Phadnis Group, as some of you reading this must be aware of, is a well diversified business group. Real estate is a significant part of it. Phadnis Properties Ltd. is the real estate development arm of Phadnis Infrastructure Group and you cannot miss some really awesome residential ventures by this company, which have revolutionized the skyline of the Oxford of the East! These factors are fabulously illustrated in one of the company’s under construction projects in Pune, Eastern Ranges. Located in Mundhwa, it has an enviable blend of green amenities and fine lifestyle amenities. Infact Eastern Ranges even has climate responsive towers. Likewise, Griha Pravesh in Noida is going to take on the Noida real estate scene by storm. With projects setting lifestyle standards and focus on value services, ongoing residential projects in Pune by Phadnis Properties Ltd. are sure to be a hit with the buyers! Offering a myriad of hospitality and service industry options, the demand for hospitality management services in Pune has increased manifold. However, such services are few in Pune. With this industry expanding and flourishing at a rapid speed, better hospitality management is required. This is where renowned Groups like Phadnis Group, especially its hospitality arm, spring into action. If opportunities in this field are not latched on, then you lose out on growth options. Taking that cue, Phadnis Group’s hospitality vertical has been providing cutting edge hospitality service, from the word go, in 2003. Now what distinguishes this group from others when it comes to hospitality? To begin, with all the hospitality projects by the Group are top notch and provide unbeatable hospitality experience to national as well as international customers. Association with internationally renowned hospitality brands has further added teeth to the hospitality service of the Group. Infact, when it comes to hospitality in India, Phadnis Group has been amongst the top few with excellent service. It also gets the credit of introducing a groundbreaking hospitality concept in India. Inspite of the volatile nature of the industry, Phadnis Group took a plunge and emerged a winner. It’s hospitality ventures are benchmarks in their unique sense. To that purpose, RIMC Sahil Hospitality India Pvt. Ltd is one of the pioneering ventures by Phadnis Group. Established in association with a German multinational group, RIMC, this is a one of its kind third party hotel management solutions organization. This concept is very rare in India and only Phadnis has made this possible. Unheard of in India, isn't it? Well what would you be thinking if you were told that Phadnis Group has some of the outstanding hospitality ventures in Radisson Blu Resort and Sahil Sarovar in Alibaug and Lonavala respectively! An independent, hotel operating company, RIMC Sahil takes over new and existing hotels, resort properties and service apartments for management and operations. 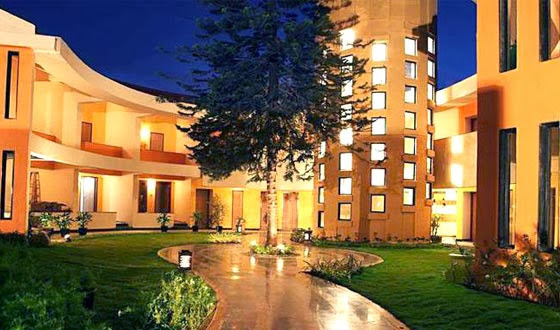 While Radisson Blu has 156 uniquely designed rooms, including 16 spa villas and International specialty and ‘Mandara Spa', Sahil Sarovar is a 3 Star luxury resort which has an exclusive spa with customized treatments. Seriously, this resort is better than any of those 3 star hotels in Lonavala! With so many feathers in its cap and remarkable work related to hospitality management services in Pune, Phadnis Group is sure to make waves in the industry! The issue of infrastructure in Pune has turned into that of mockery. With the city’s growth at an unprecedented high and bursting at its seams, the infrastructure leaves a lot to be desired. Key infrastructure and real estate companies thus come to the fore in such a situation. Along with the administrative system, it is these companies which take the initiative and contribute to the proper development of the city. Phadnis Infrastructure Ltd, a leading infrastructure and real estate brand in India is one such company. Phadnis Group has been there, done that, since a decade now, having been established in 2003. Infrastructure has always been a bastion for Phadnis Group and that is what has been primarily driving the company forward onto a path of success and reputation. The entire team of skilled, experienced and dedicated professionals has helped Phadnis Group get ISO 9001, ISO 14000 and OHSAS 18001 certificates for its path breaking work in the concerned field. Moreover the fact that the group has diversified into various business segments has helped the company grow leaps and bounds. All these factors notwithstanding, Phadnis Infrastructure Ltd is on the threshold of contributing significantly to urban infrastructure in India. To that purpose it has a number of large scale projects in the pipeline to be floated. Exclusive residential scheme, Griha-Pravesh, at Noida which is going to be the most sought after property in Noida. The Group also takes pride in the fact that it provides transmission infrastructure for telecom service providers. Finally, Phadnis Infrastructure Ltd also has solar energy and wind power project to its credit. To sum it up, what Iron Lady and Prime Minister of the United Kingdom, Late Margaret Thatcher said – “You and I come by road or rail, but economists travel on infrastructure” proves true not just about infrastructure development in Pune, but everywhere! It is no secret that real estate properties in Pune are growing in appreciation day by day, creating irresistible avenues for the developers, brokers as well as investors. Homebuyers too are willing to shell out money if the property is value for money. That is another incentive for real estate developers like Phadnis Group. Phadnis Properties Ltd. the real estate arm of Phadnis Group has made a mark for itself in the real estate industry because of its fabulous properties. 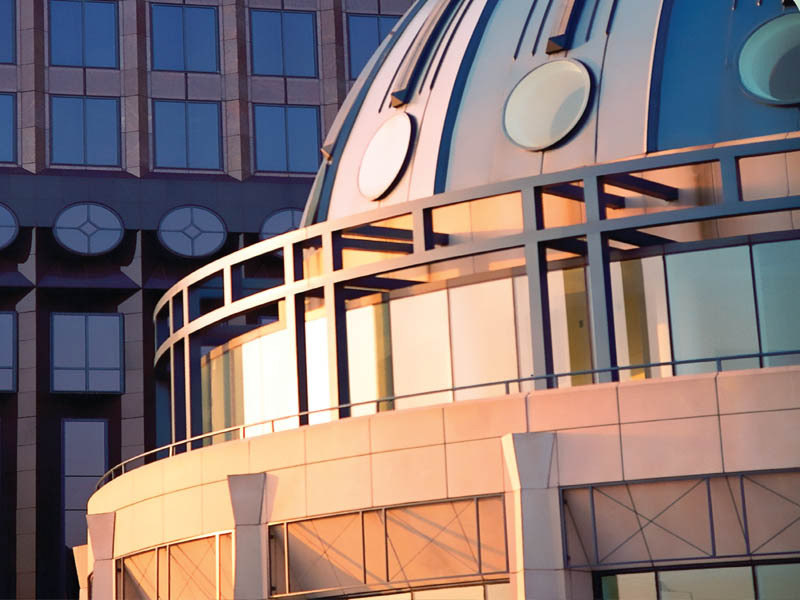 It has been credited with the creation of exemplary, award winning structures. And lo and behold! Phadnis Properties has been instrumental in giving a makeover to the skyline of the city! 2003 saw the rising of a new and potent name in the field of real estate and infrastructure in the form of Phadnis Group. Now entering a decade of creating some of the finest properties in Pune, Phadnis Properties Ltd is here to stay for a long time to come. Not surprisingly the company has received a number of awards for the quality properties it has been coming up with. The Group specializes in premium properties, needless to say designed and planned at par with international standards. In addition to that, the group believes in creating properties, which are a seamless amalgamation of luxury, elegance and utility, be it flats near Kharadi or apartments in Noida. Further, Phadnis Group excels in typical upmarket suburban residences adorned with the finest of amenities from clubhouse to party lawns to children’s play area and more. However, inspite of these lifestyle amenities for a great lifestyle, the real estate developer endeavours to incorporate eco friendly, green amenities like vehicle free podium, landscaped gardens, non toxic interiors, health faucets and more in its residential projects. These ensure a healthy lifestyle for its residents. Most importantly, the group wants its customers to enjoy undisturbed, unhindered space. Our destinations too are handpicked to guarantee maximum convenience as far as daily necessities go. Because one can do without watching a film in a multiplex, but not without a life saving medicine! Moreover, Phadnis imprint is very prominent on our properties and it provides value for money services. That has created a niche for the brand in the hearts of our customers in Maharashtra and all over India. Real estate properties in Pune like Eastern Ranges, with apartments in Mundhwa, or flats near Kharadi, Green Square at Baner and Noida Properties like Griha Pravesh have further consolidated the position of the group. The Group looks forward to contributing more and more to the urban real estate and infrastructure development in India.